Dinner. Or Supper. It is the time, usually the last meal of day, when families sit down and eat together. Together is the operative word and you know this instinctively if you came from a family where good food was combined with good family conversation. If you did not have this experience growing up, then you will need to research the phenomenon and become familiar with the concept – because studies tell us that the family dinner is vital to the health of the family (3). This is where palpable family bonding takes place. Communication channels are abuzz with daily happenings and future planning. That is as long as there isn’t a stinker at the table. A stinker shuts down the conversation – more about that later. Research has revealed that the more often a family sits down and eats together, the less likely children will succumb to addictions and other dysfunctional behaviors. Your child may be 35% less likely to engage in disordered eating, 24% more likely to eat healthier foods and 12% less likely to be overweight (2). How do you go about giving your family this treasure that will yield rewards throughout generations? First – you must personally commit to the principle of eating together as a family. If you are serious, your family knows it. You will get much less push back and fewer requests to eat dinner in front of a favorite TV show if you have conviction. Children have radar that detects whether the parents are really committed to a principle or action. Think about how you speak and act if you really don’t care if Baby touches the vase on the coffee table. But note the difference in your actions and intent as Baby heads for the plate-glass window with a rock in hand. There is no doubt whether you are committed to action. Babies – and everyone else since the internal differences in a person who is half-committed and one who is fully committed. Second – make the time sacred. That’s right, no exceptions. This is a challenge in this activity-charged world. Decide what is doable. If it is a family of many Teen Babies with many activities, you may need to make fewer than seven times a week sacred. Ideally, at least one weekend plus one week day should be immovable gathering times for everyone. Frequency of family dinners correlates with children making good choices later (2). Third – Involve every family member in the process. It is essential that all family members participate and have a part in the meal. Menu planning, shopping, table setting, clearing and clean up are all a part of a successful family meal. Obviously, if the habit of a meal together is started when the Babies are little, it is not so difficult. Nevertheless, the time to start the dinner tradition that builds family cohesion is now. What are some of the rituals that can enhance your chances of successful family meal times? Most important, even if you stop by your favorite fast food and bring home dinner in a sack, is to sit down all together and follow the rules of engagement. What does the table look like? You might have Aunt Tillie’s old china that has decorated your buffet forever. Get it out and use it at regular intervals. Use chargers. Have a tablecloth that reflects the season. Take pictures. Everyone learns how to set and clear tables. You may want a series of dinners where each family member gets to serve the food to other family members. 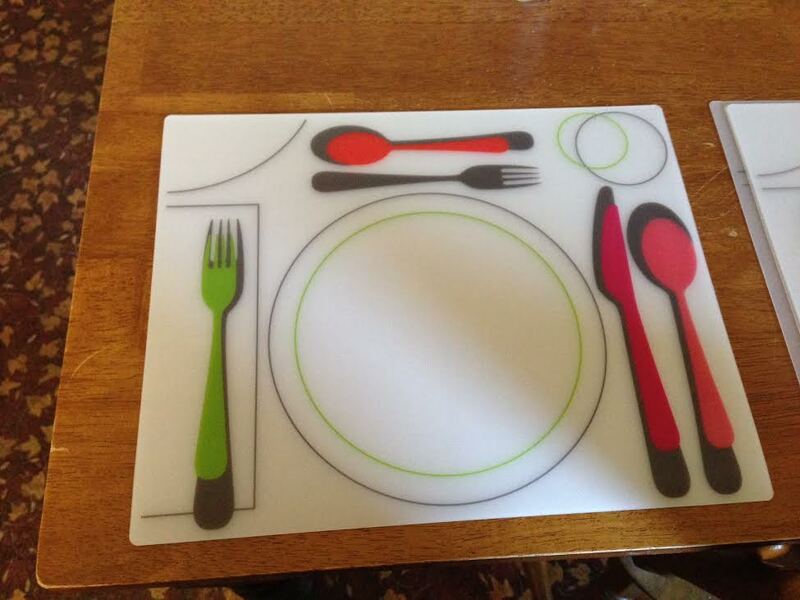 Teach table setting. Do you remember how to set a table? If not, Ikea has some great placemats. Because most people are right-handed, the spoon and the knife sit at the right of the plate and the fork is on the left side. Where the salad plate and glasses go depends upon which side of the world you hail from. What holds in America changes in Europe. 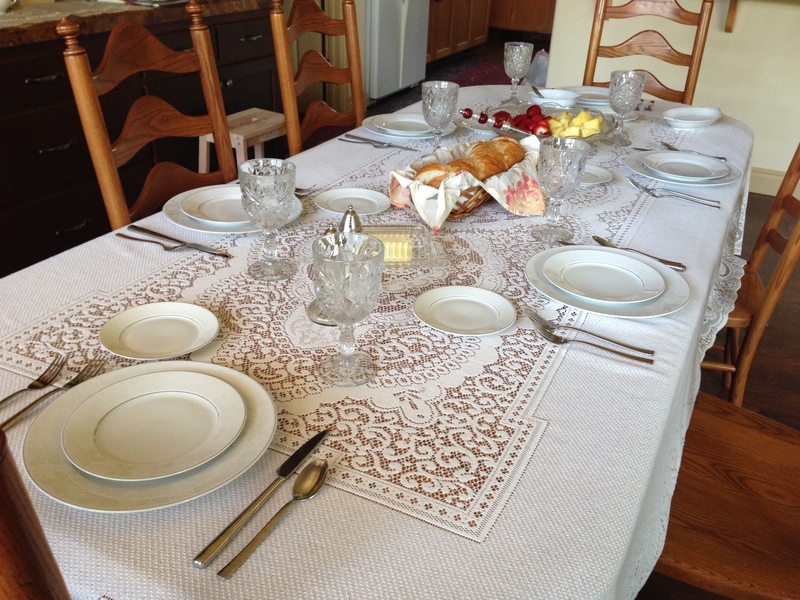 Decide what is “proper” for your family table. The opportunity to sit together and create memories should be carefully protected. First, no electronics are allowed. Television off – conversation on. You may want to establish a pattern of each family member reporting the best thing about the day. Keep it positive. Establish a firm rule – no negatives or personal attacks while at the dinner table. No stinkers. You may need to have a special sit-down if you have a stinker in your family and give special instructions and consequences for bringing up negatives at the dinner table. Code is established for giving the stinker the “stink-eye” should he or she stray from the established “no stink thrown during dinner” rules. There is plenty of time outside of that golden dinner hour to deal with negative feelings and events. What does this do for a Baby’s development? It yields patterns and forms and expectations of pleasant times at dinner. Manners, etiquette, food creativity and critique, and the art of conversation are learned skills through the vehicle of a family dinner. Babies have a template for how to conduct the business of dinner throughout their future lives. It is never too late to make dinner with family a warm and positive event. 2. Fiese, B. & Hammons, A. (2011). Is frequency of shared family meals related to the nutritional health of children and adolescents? Journal of the American Academy of Pediatrics, 127, 1565-1574. 3. Musick, K. & Meier, A. (2012). Assessing Causality and persistence in associations between family dinners and adolescent well-being. Journal of Marriage and Family. This should be the first entry into this weblog – why bother with babies at all? First, there is the primeval, brain, heart, hormone and DNA-based urge to have children in most (not all) people. We are members of humanity and we value each other. We have, in reality, a short time here on earth to make a life and make a difference. Most want the full menu of human experience, including the bearing and raising of children. It is visceral. In past times, having plenty of children meant survival. Children were contributors to the family and provided hands in the fields and in the home. With disease and accident claiming lives, it was necessary to have more Babies than now. Babies were so often lost that it was customary to give a new baby the same name as the last baby that had passed on before – a phenomenon that makes genealogy very interesting. In addition, there were few reliable ways of preventing them within the marital relationship. Family history records often show a two to three-year interval for the births of children. That is because breastfeeding provided some natural child spacing for many families. More on that later. The desire for family is basic – and Babies are nice additions to families. Family is the primary unit of a civilized society. Each family is, in miniature, a society – hopefully civilized. The form may vary, but the ideal function is to provide a protective environment that creates security and opportunities for the members of that family. In short, having a Baby means having a future – for both society and the family. Babies are a manifestation of all who came before you. Children are future adults, and future makers of families. If a moderately happy family exists, then we want to pass that on. Some cultures are intent with creating resources that allow future generations a better financial and educational platform on which to build. That way, success increases for each successive generation of Babies – as long as you have also passed along a strong work ethic. Otherwise, it is the three-generation trust fund kid story – first generation makes it, second builds it and spends it on the kids, third generation just spends it. Even if you are in the No Babies group, I recommend Babies – some time and in some form. Find them within your family, or find them in places where there is not family to hold and guide them. Your capacity for love will grow to heights not possible without Babies. But so will your capacity for sorrow be deepened, as your heart will then be vulnerable to the law of commensurate highs and lows. In spite of the risks, Babies are worth the trouble. If you have the choice, have a bunch of them. Let your heart rule on this one and have at least one more than you think you can afford. They actually cost less than the estimates in magazines report. Give them the best you have to offer and let them benefit from your mistakes – but stand back and let them make some of their own. Learn how Babies think and develop because that creates an opening to a tiny world of innocence and pure encounter that grounds the adult in life essentials. 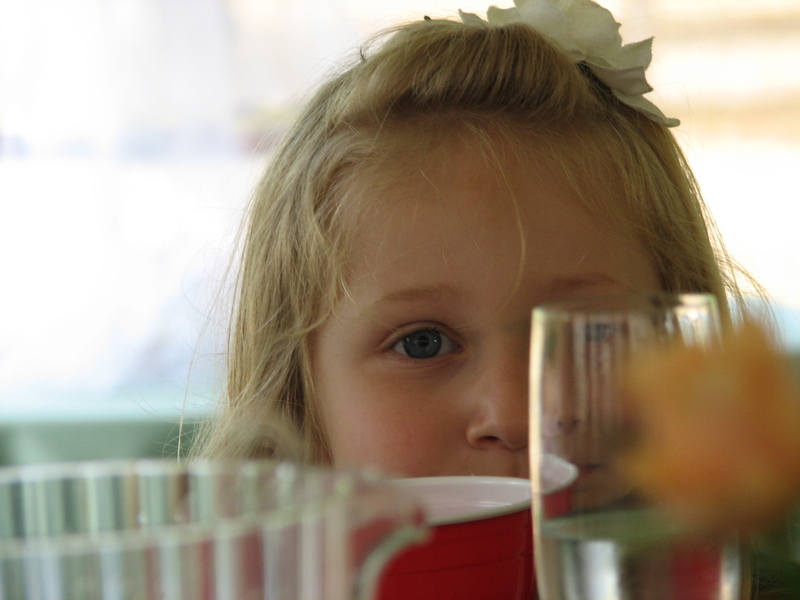 A reminder of life’s meaning becomes crystal clear when viewed through the eyes of a child. Babies live life at its fullest and drag you along with them. Look them straight in the eye as often as you can. They will stare right back at you – complete strangers though you may be. They are not afraid, preoccupied, embarrassed, or locked down. They are open to the world. Having even one Baby in your life provides a ride you really don’t want to miss.